Many want to present themselves as defenders of God, but again it appears that God is most abused by some of such would be enforcers. Blasphemy laws were basis for young Pakistani Christian girl to be accused for purportedly tearing pages of the Koran. It is not clear how mentally impaired the young teen is; however it now appears that a self-anointed defender of God, a Muslim Cleric, actually tore pages from a Koran and planted them on the young girl. Perhaps he was hoping to start another religious war or just mob, and of course he would be their leader. With friends like that, religion does not need enemies. Laws against criticizing God and Government are more apt to be abused than serve any ethical or constructive purpose. Even Governments will project their authority as speaking on behalf of God and thus above reproach. Blasphemy laws do not serve the defense of God or a just purpose, whether such are applied directly or implicitly in Pakistan or the US. (UN Human Rights Experts have noted this dichotomy. See our Blog for Film from last year: "Criticizing God & Government & Human Rights"). 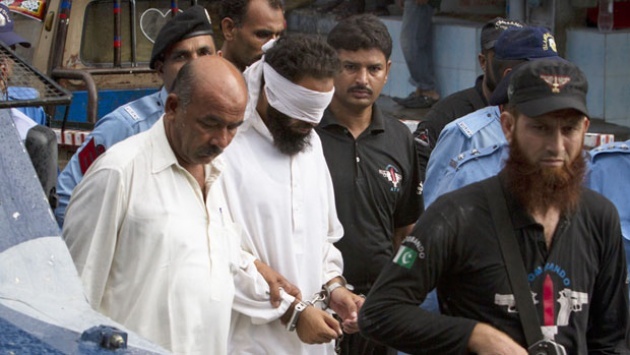 Pakistan did right by arresting the original accuser, Cleric Khalid Jadoon, (Photo above of arrest of Cleric by Pakistani police). It should though abandon its blasphemy laws - it is evident how this incident could have turned into a personal tragedy for the young girl but much more broadly for Pakistani society. Inquisitions in the name of God are not a new tool of those seeking power and subject to grave abuse at expense of personal freedoms but also society's security. God never needed our protection, even as we may need his.